Wow! When I started applying the principals in this book, my business absolutely exploded and has been doing really well ever since. Every single word of this book is valuable and you’ll be wanting to take notes all the way through. 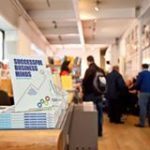 If you even applied a fraction of the advice in this book you are sure to see some big improvements in your business. If you are struggling with your business, this book is a must have and I can’t wait to see more from this author. It is unique and I’ve never come across anybody who has written about the mind and finances in this way. Not to be missed! 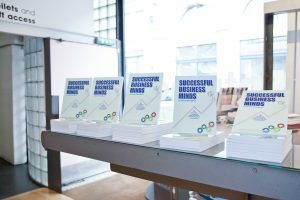 Successful Business Minds challenges your traditional money and success beliefs and gives you what most other business books leave out! When you run a business, it can be a challenge to balance your finances and get clients whilst also spending time with your family and friends and do the things you love to do. You deserve to live a meaningful life and have a business that supports that. Reading this book will give you a successful business and a fabulous life! This book brings together psychology and accounting whilst including practical finance, marketing, and time management tips that work and are realistic to implement. In addition to the exercises in the book, there are additional downloads which include two audios to help you to identify any unconscious behaviours or thoughts that prevent you from reaching your goals. These will be updated as more resources become available. Usually, the books [I read] have more of the same and I am just reminded of stuff I already know. This book, on the other hand, surprised me! Helen Monaghan’s philosophy of balancing work, life, body, mind and emotions really resonated with me and made me realise where I have been off-balance in the past. The book has really changed my perspective and the practical exercises have helped me keep to a strategy of balance every since. I HIGHLY recommend reading this book no matter what business qualifications (or lack of) you have.